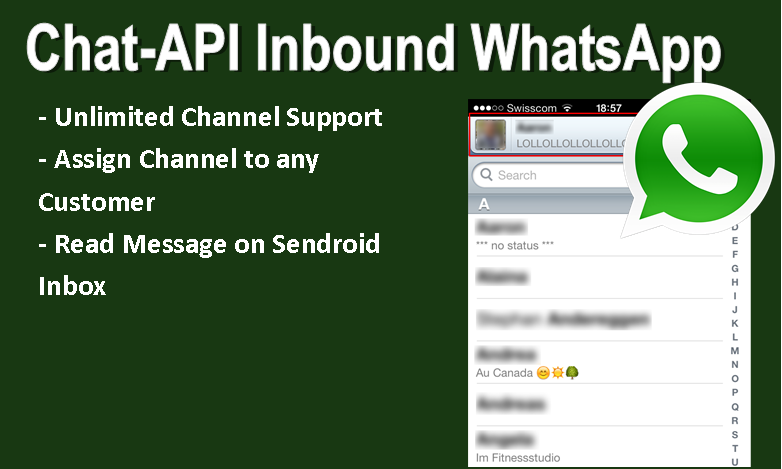 This module allows you to receive incoming WhatsApp messages from multiple chat-api.com channels on your Sendroid Ultimate inbox. You will be able to setup many chat-api instances and this module will fetch incoming messages on each every hour. Once enabled, this add-on will be accessible from Extras -> Chat-API Incoming WhatsApp. Please read the notice on the add-on interface for other usage information.